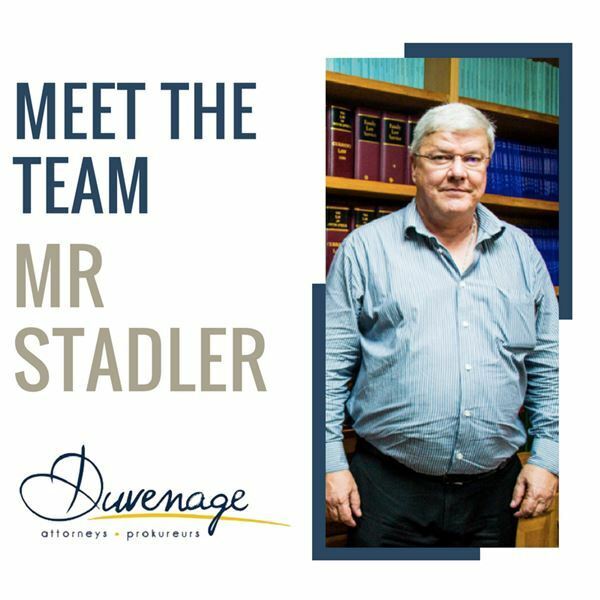 Duvenage Incorporated is a dynamic and innovative firm of Attorneys, with a Head office situated in the Central Business Districts of Richards Bay and branch offices in Empangeni, Hluhluwe and Mtubatuba. 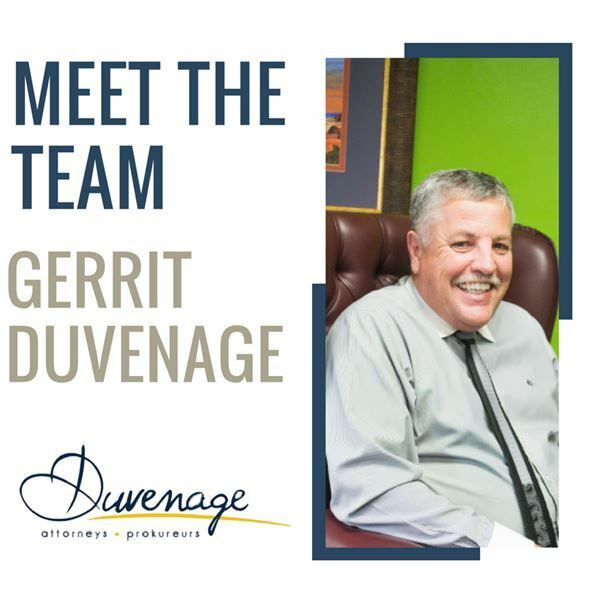 Since its inception in 1992, the then Gerrit Duvenage Attorneys has shown growth and the necessary vision to expand and keep up with the latest development trends, not only in the legal field but also with the rapid development in the greater Richards Bay / Empangeni area. The firm originally started with one attorney and three staff members in 1992 and at present boasts a competent team comprising of Directors, Professional Assistants, Candidate Attorneys, several staff members and is still growing. We serve primarily the Empangeni / Richards Bay area (which towns are approximately 19 kilometres apart), but our client base is spread throughout the greater Zululand/Northern KwaZulu Natal area. Our local civil court is in Empangeni with criminal Courts both in Empangeni and Richards Bay. Through experience and a comprehensive range of legal and strategic services, we have developed into a dynamic firm of attorneys, assisting our clients to cope with an increasingly sophisticated business and legal environment in which highly technical and strategic skills have become the elements that make all the difference. It is our firm’s business to anticipate the changing needs of our clients and to provide them with solutions that are both cost effective and practical. We cater for both the needs of private and individual clients, as well as the most complex demanding decisions normally associated with big corporate entities. In order to ensure continuity of essential services to our clients, Duvenage Incorporated maintains a vast network of correspondent firms and institutions. The network comprises of law firms as well as other professional and consulting services, ranging from accountants, tax and management consultants, bankers and engineers and architects. The firm is fully computerised and employs state of the art communications, data and research technology. We are also able to conduct company, close corporation, deeds office and searches. Gerrit Duvenage or Francois Stadler.